How was your Armed Forces Day??? Well thanks for asking. 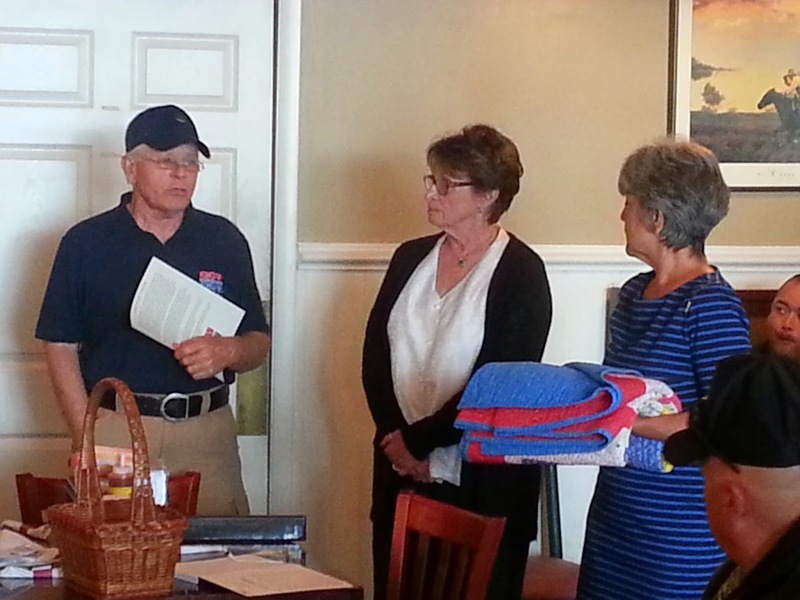 Elaine and I had the honor and privilege of awarding two Quilts of Valor Saturday. So right off you know it was special. Well as it turns out that’s not quite all of the story. Wouldn't you know we would find ourselves standing in the presence of yet another hero, another patriot, another individual that would relate how humbled she was to be awarded a quilt and not quite sure if she was deserving. I’m going to let you decide. Marsha Tansey Four served in country in 1969-1970 as an Army Nurse with the 18th Surgical Hospital then located in the Quang Tri Province south of the DMZ (Demilitarized Zone). Here she would work with the assigned doctors and staff dealing directly with wounded from the battlefields. For what was described as exceptionally meritorious wartime services she was awarded the Bronze Star. End of story? Go home and settle in to family life and leave the burdens of war behind? You don’t know Marsha. She has been appointed twice to the Veteran’s Administration’s Secretarial Committee on Women Veterans and served two years as the committee’s chair. 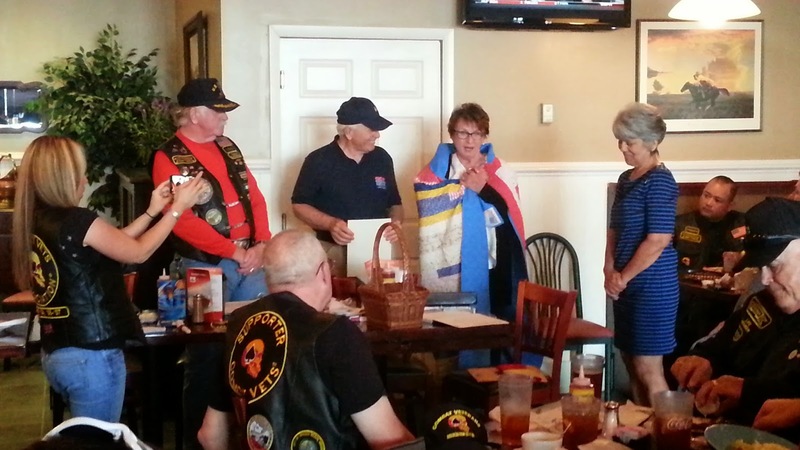 For the last 24 years she has devoted her time working with and advocating for veterans. Her contributions include authoring articles, delivering testimony on issues relating to veterans at local, state and federal levels. Sounds like quite a lot. Time to retire to a quiet family life. You don’t know Marsha. In 1983 she initiated the Philadelphia Stand Down for Homeless Veterans. She just recently retired as the Executive Director of the Philadelphia Veterans Multi-Services and Education Center. 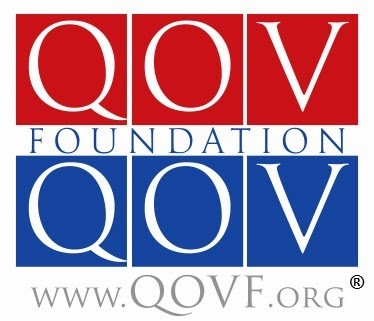 It is a non-profit that provides free, comprehensive services to regional veterans. Well at least she has retired. You don’t know Marsha. Another STQOV finds a very deserving recipient. In 2013 she was recognized by the White House as a “Champion for Change” for women veterans. I guess I should mention she was selected by the Commonwealth of Pennsylvania Department of Military and Veteran Affairs with induction into the Pennsylvania Veteran’s Hall of Fame. Of course this was all going on during the 14 year period where she sat on the National Board of Directors of Vietnam Veterans of America. Quite a resume of accomplishment. Oh you thought I was done…you don’t know Marsha. 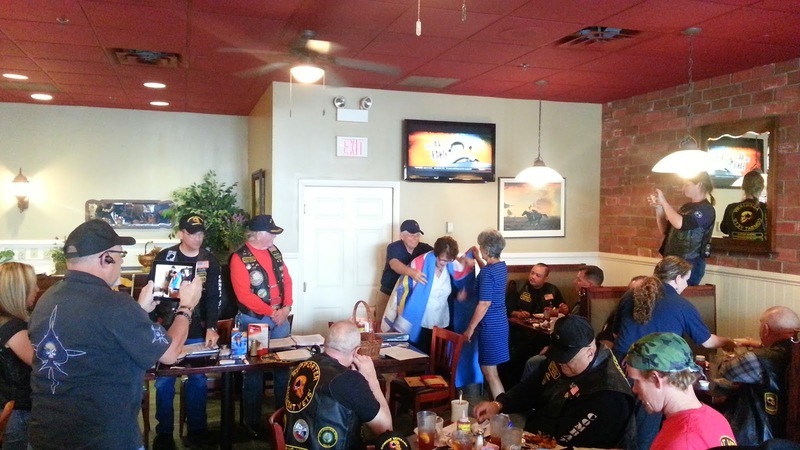 In 2013 she was elected Vice President of Vietnam Veterans of America at their National Convention. That position she holds today. Let me assure you…Marsha is nowhere near done. 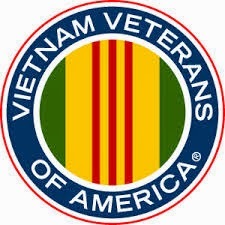 You can also be assured her efforts do not stop with Vietnam Veterans. Her concerns for the current generation of military members, veterans and their families are as important to her as any other commitment she has made. I’m betting she is like the pit bull when she gets a hold of something; she is not letting go. She is immersed in following the research and findings relating to the toxic exposures of our current military, the effects those toxins, like Agent Orange of my era, has and will have on the offspring of those exposed and what lies ahead for their offspring. Really glad she is on our side. Her brother, foreground, back to camera, was the requester...and a very proud brother. 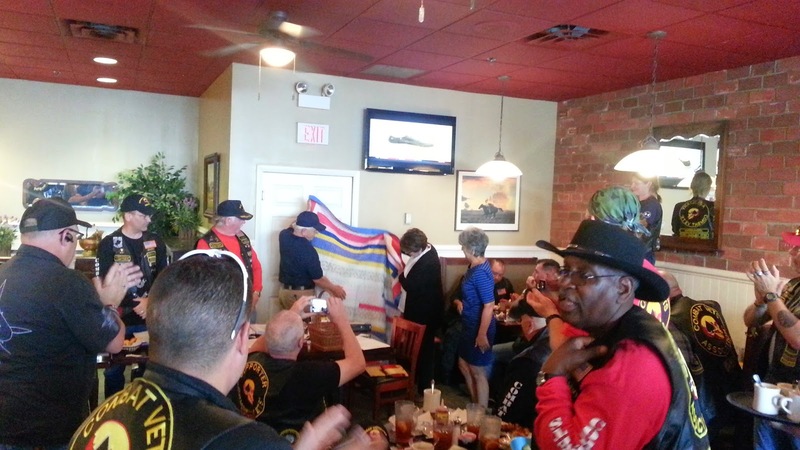 So for Elaine and I to Award her a Quilt of Valor was quite the honor and privilege. What an inspiration. Speaking of inspiration. Our next award would take us on this May 17, 2014 Armed Forces Day to base housing and the current home of Brendon O. Currently serving in the United States Marine Corps as a Sergeant, married, two children, and I'd be amiss not to mention the Boxer and Bulldog (you expected a Toy Poodle.) He has served in Afghanistan and Iraq. A Purple Heart recipient and member of 3/5…3rd Battalion/5th Marine Regiment (Darkhorse) in Afghanistan. “Darkhorse” sustained during their tour from October 2010 to April 2011 25 KIA along with more than 230 wounded. The largest and heaviest sacrifice any combat unit has suffered in the 10 year war in Afghanistan. Believe me when I say this is one motivated Marine, Marine Family, Marine Sgt and Patriot. Once again the recipient was uttering that he is honored to receive a Quilt of Valor but not certain that he is deserving. His enthusiasm, joy of life, acknowledgement of the sacrifices, those that have been made and those yet to be made influence him daily. He spoke of what keeps him motivated and how what we have is so cherished throughout the world. 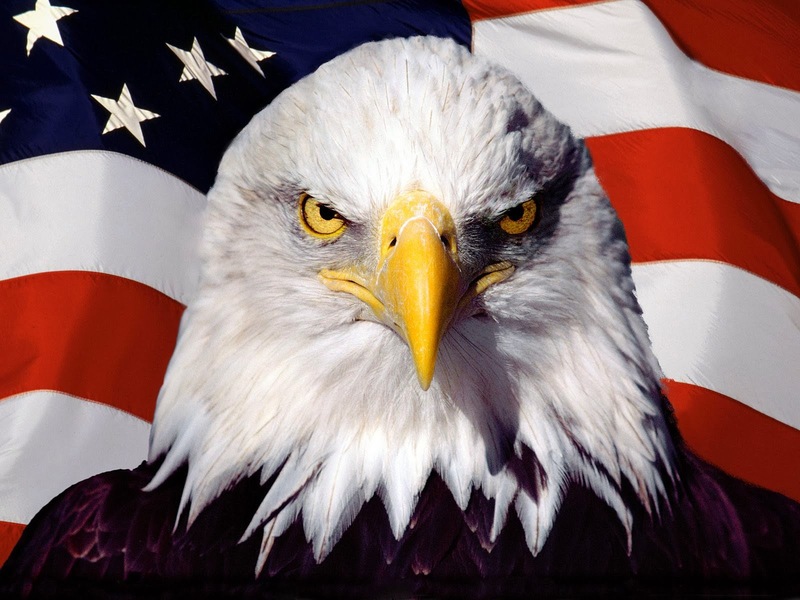 Is without question or hesitation that at all costs defending this country is his priority. Okay I got goose bumps...big deal.